Good morning everyone, I hope you are all having a lovely week? I’m currently in Wales celebrating a certain special someone’s birthday yesterday and I am absolutely loving being here on the farm right now. The weather has behaved, the happiness has flowed and the Herdwicks are as adorable as ever! 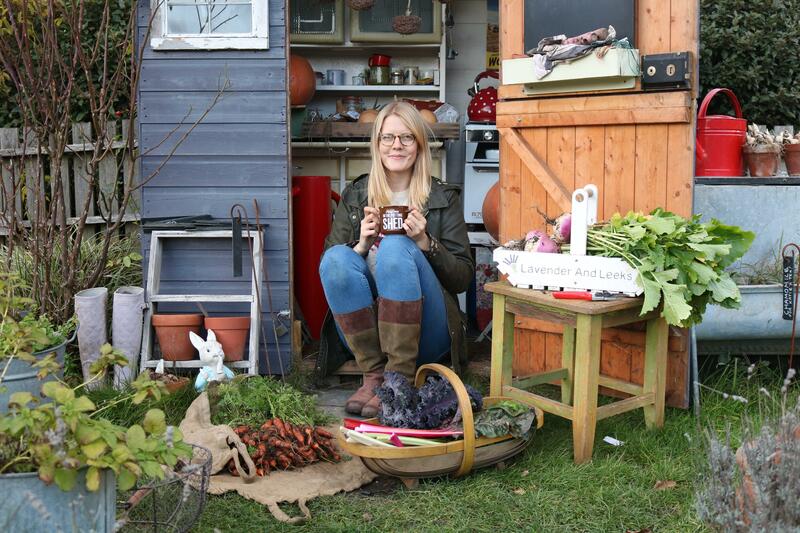 However, I just wanted to take a moment to show you all what happened on the allotment last Monday before I left…. I decided to go on a little harvest spree and first on the list was some curly kale and swiss chard for supper that night. 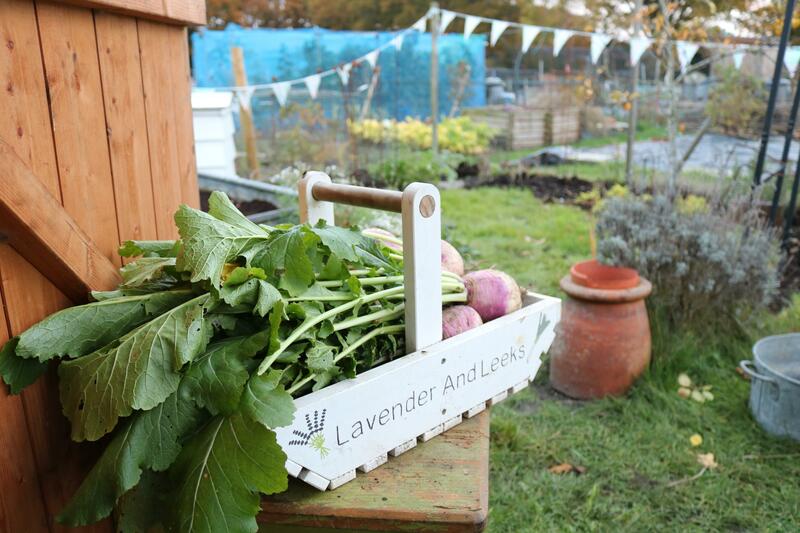 Both these leafy greens are a must have on the allotment as they will constantly give you harvests for months on end and are extremely hardy too! 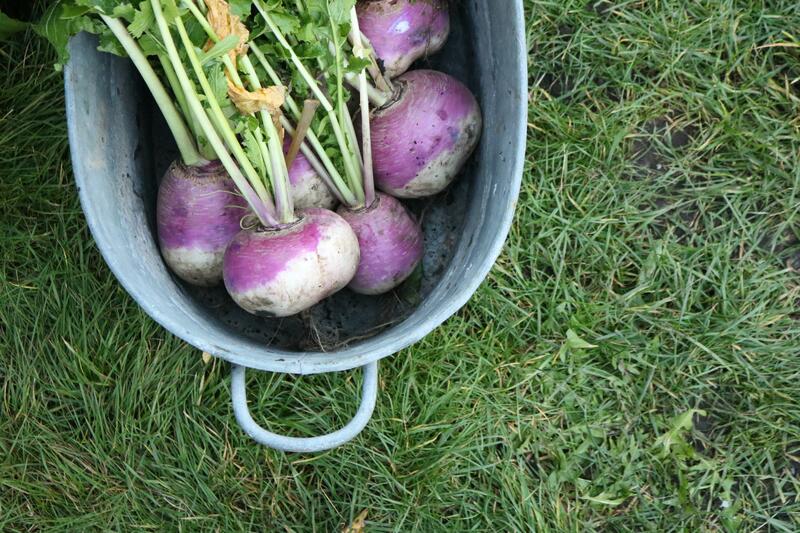 Next on the list was some turnips which I’ll admit now have been very neglected this Autumn. These two rows were sown direct at the end of July and have thrived in the old potato bed, however I haven’t been picking them as regular as I should have which means some have grown a tad too big and woody. 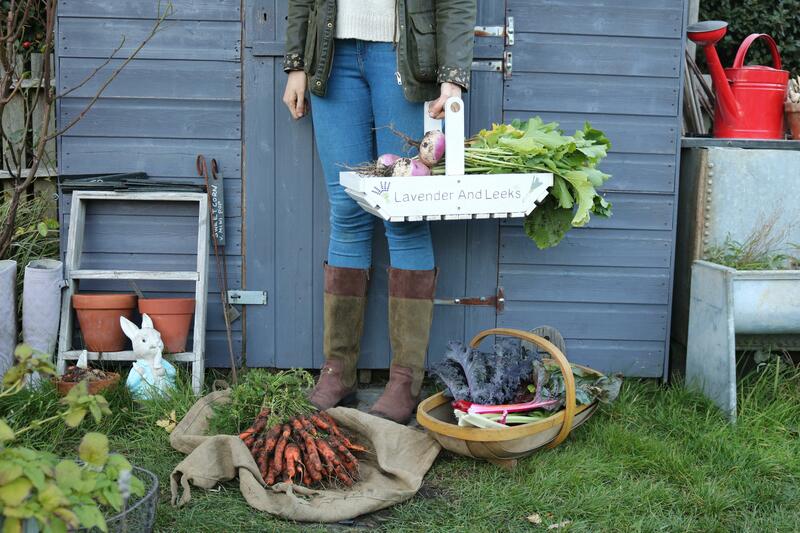 That’s when the idea hit me… sheep love turnips! 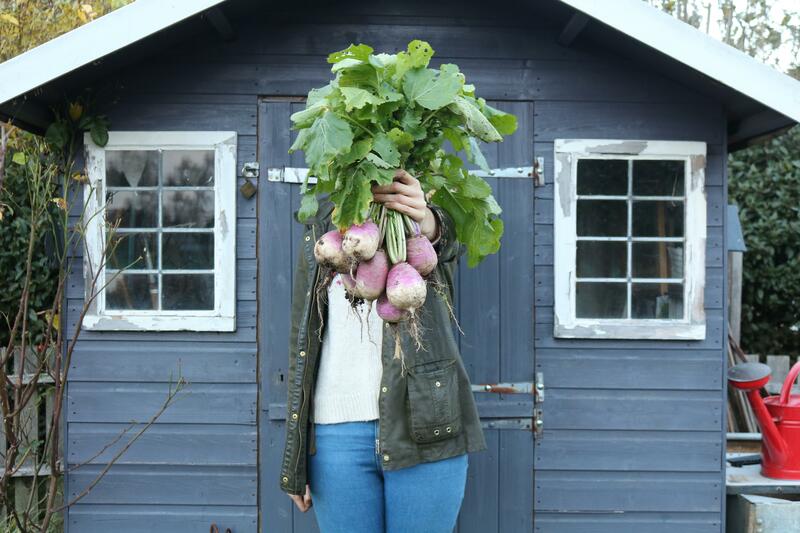 So as a little treat for my Herdwick flock I harvested the biggest turnips to take with me, a little bit of the allotment in Wales! 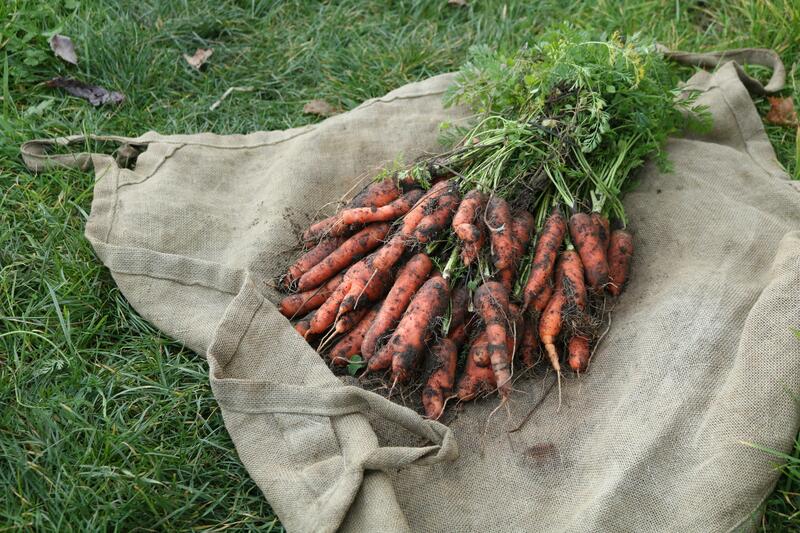 I also decided to pull up all my carrots which had been busy growing in the ground all Summer long. Last year I lost quite a few in the ground and I didn’t want this to happen again, plus my Mum was on a mission to use up my Dad’s butternut squashes to make soup with and carrots were on the list of ingredients. 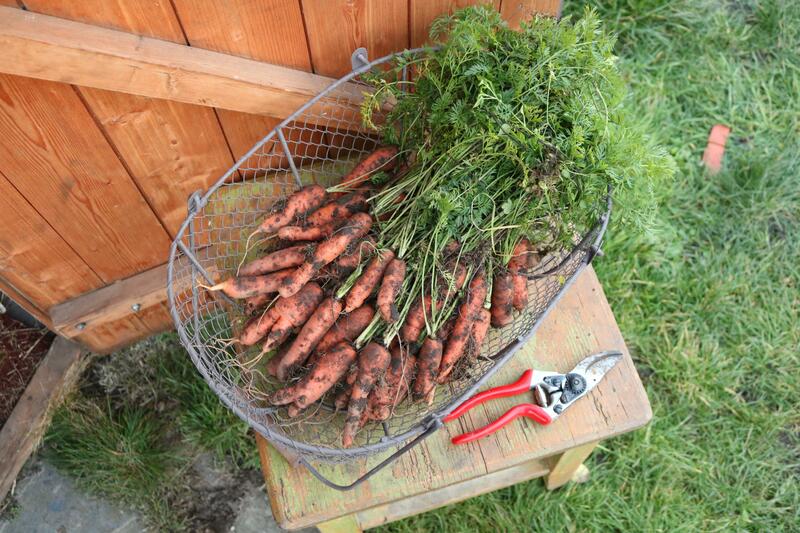 Now my carrots won’t be winning any awards, they aren’t huge and they certainly aren’t straight but I am so proud to be pulling up my own homegrown carrots to be added to stews, casseroles and soups this Winter. 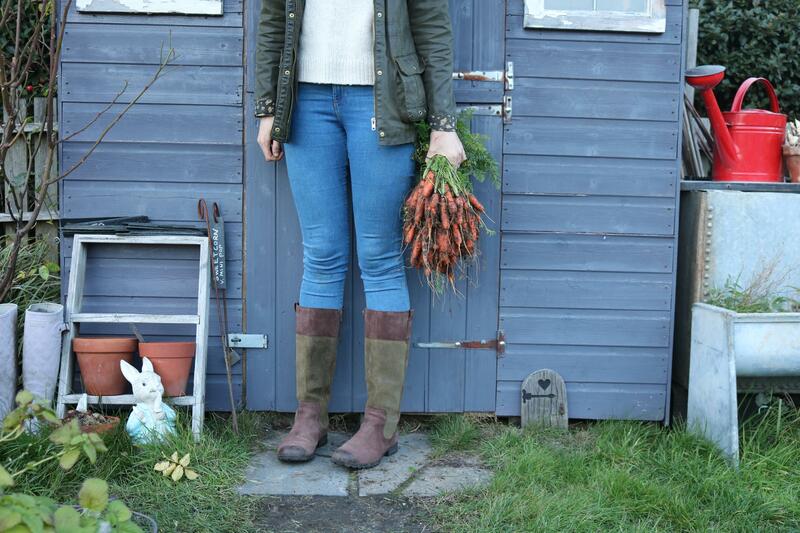 Anyway, you just can’t beat the taste of homegrown carrots can you? The plot is looking very sorry for itself right now, it may have just been the drizzly Monday blues but everything looked grey and miserable. The end of the growing year is pretty much upon us and even though I’m sad to see it go there’s a huge part of me that is super excited for 2019. 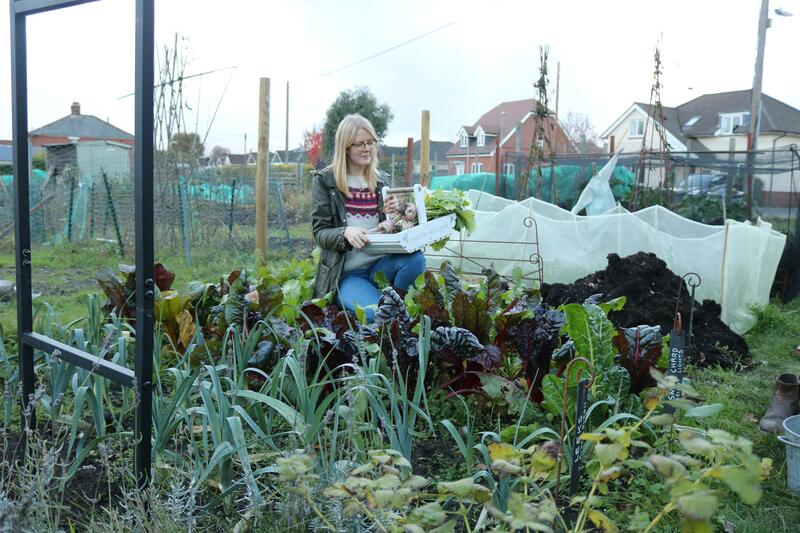 There are still things growing on the allotment so it’s not all doom and gloom. 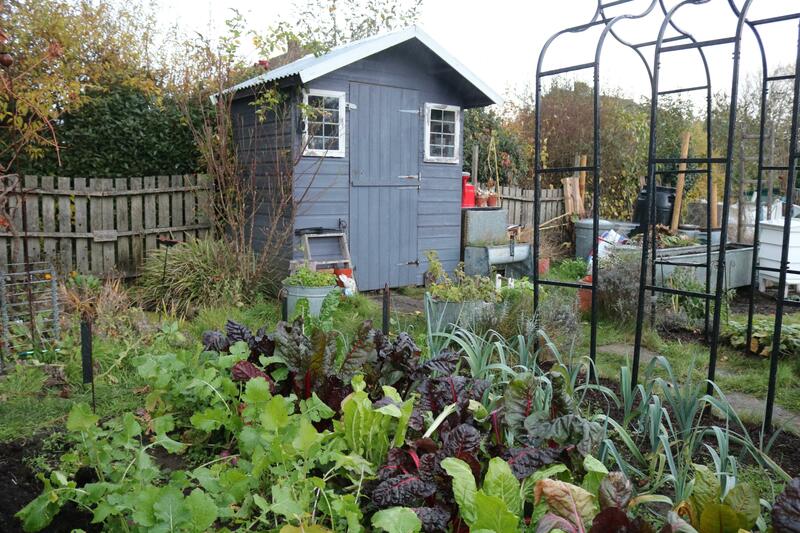 There’s swiss chard, leeks, turnips, kale, brussel sprouts and purple sprouting broccoli waiting to be harvested and this makes me extremely happy. So whilst part of the plot is still in use I decided to take some time to focus on the areas that needed some attention. One of those areas is the archway, every year I grow not only Munchkin pumpkins but also climbing french beans and sweet peas here too. In fact for the past 5 years those two small beds either side of the arches are constantly being drained of much need nutrients for these plants to thrive on and they’ve been neglected too. 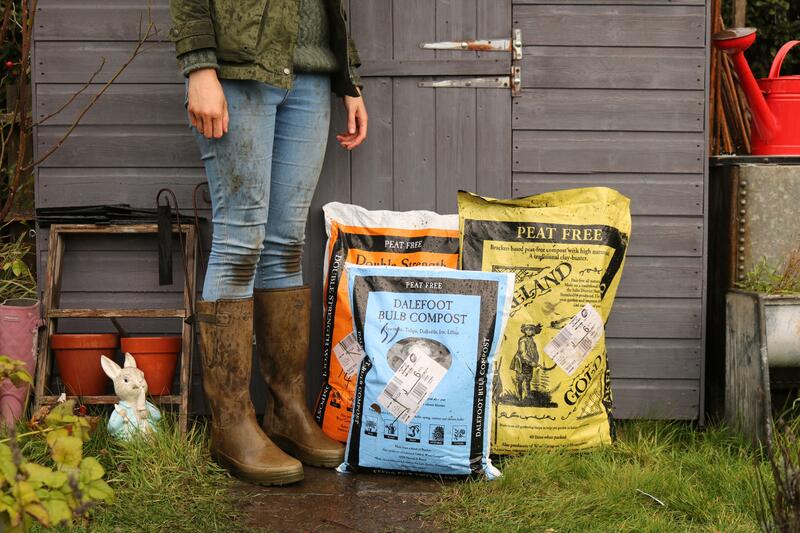 Luckily for me the lovely team at Dalefoot Composts offered to send me a few bags of their beautiful compost to help. A business close to my heart as they use 100% natural ingredients from their Lake District farm including potash rich bracken and… Herdwick wool! The wool helps to retain water and slowly releases nitrogen into the soil, plus I’m keen to see if the wool element in the compost helps to combat slugs as they apparently hate sheep wool! I’ll be adding a layer of roughly 2-3 inches of Lakeland Gold to the soil around the archway to add some much needed nutrients back into this area. 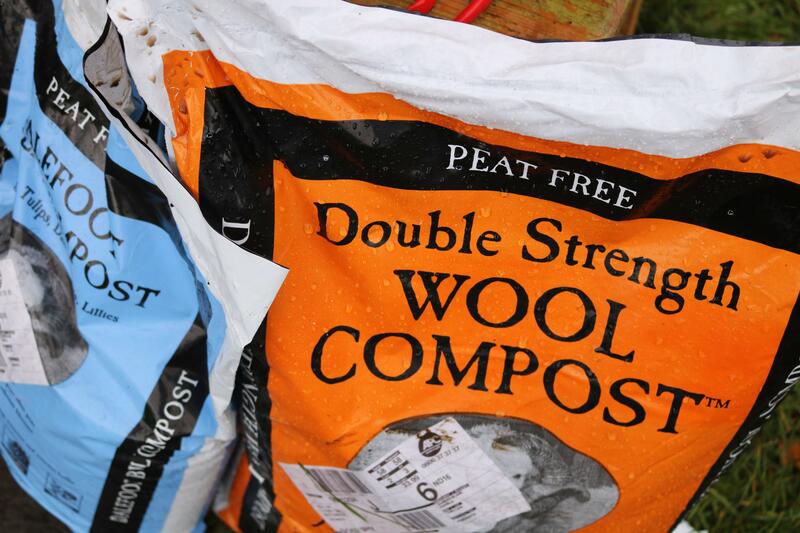 Double Strength Wool Compost will be added as a top up to my containers on the plot and I’ll be planting up another bulb lasagne container using the Bulb Compost. I’m so excited to use this compost and I’ll be sure to share the results with you all throughout the next growing year. 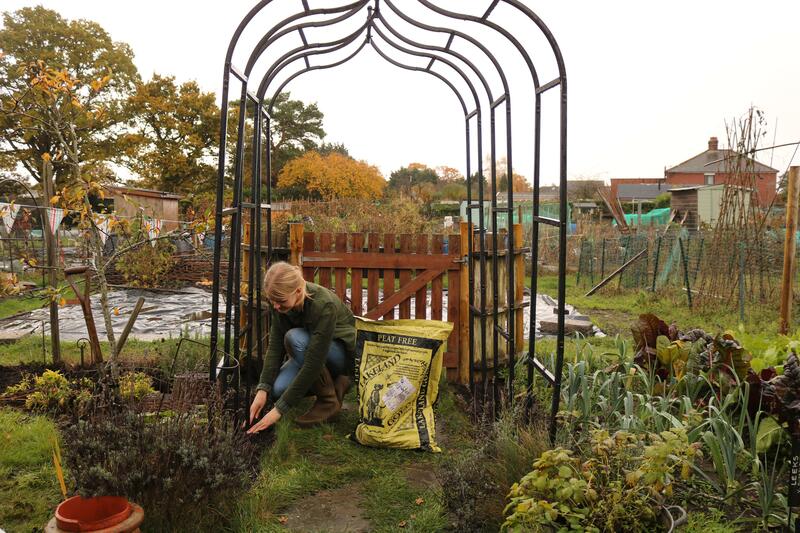 Biodegradable mulches can come in many forms; well rotted manure, spent mushroom compost, wood chippings, seaweed and leaf mould to name but a few. 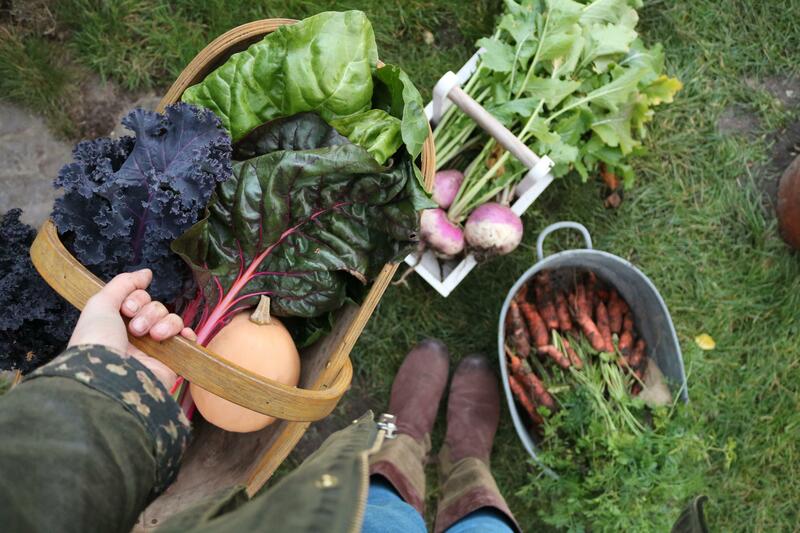 Simply spread a layer roughly 2-3 inches deep around plants once they have been fully weeded. 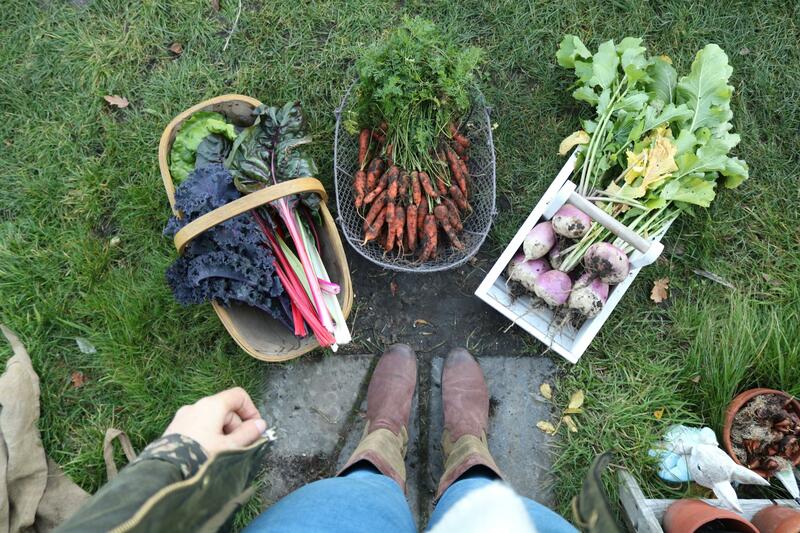 Time for the allotment to rest. Enjoy Wales!